Schedule Your AromaTouch Technique Massage Today! Fill out the form below to schedule your complimentary AromaTouch Technique Massage. I am excited you would like to experience an AromaTouch Technique Massage.I will connect with you soon to schedule a day/time that works best for you. 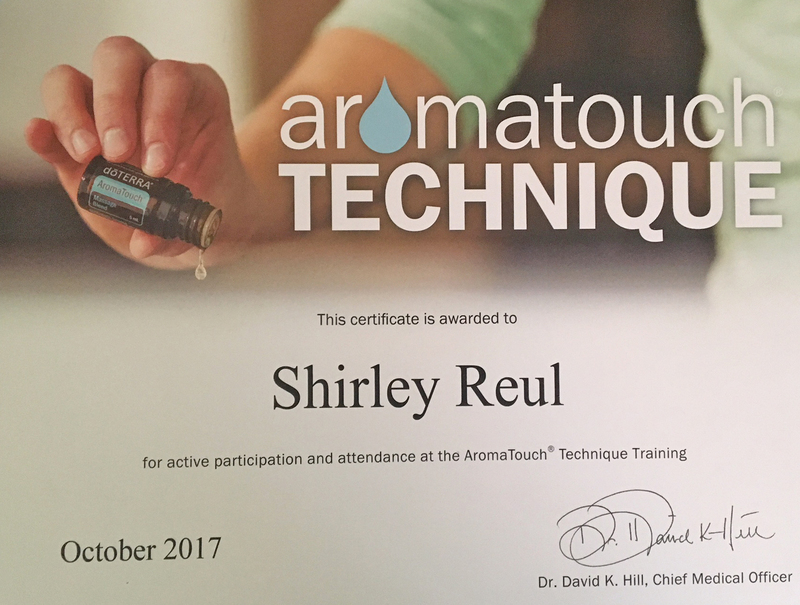 I am certified in dōTERRA's AromaTouch Technique, which was developed by dōTERRA's Chief Medical Officer, Dr. David K. Hill, D.C., to provide people with an uplifting essential oil experience. I would love love to be able to provide you with this unique & uplifting essential oils experience. Schedule your complimentary* massage today! *donations appreciated for replenishment of oils.